Does your company have 'paw-ternity' leave? Companies offer perks for pet owners. The pet food company allows employees to take off a week to care for a new dog. Our pets have spoken: the “paw-renting revolution” is upon us, and a growing number of companies are trying to make their workplaces a happier place for our four-legged friends. 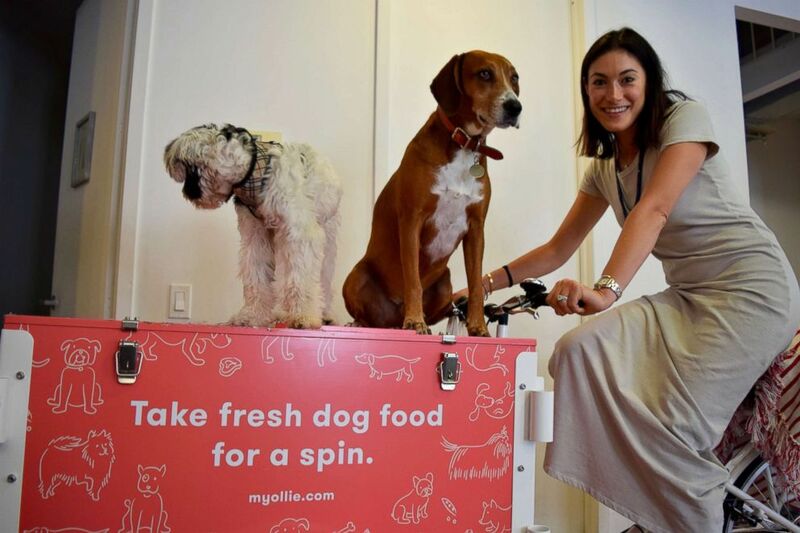 Ollie, a company that delivers customizable, all-natural dog food directly to pet-owners’ doors, is at the forefront of this revolution. (Courtesy Ollie) Ollie co-founder Gabby Slome is pictured with her dogs in the Ollie office. Slome knows that getting a new dog can be stressful, whether a young puppy or an older, adopted canine. It takes time to get to know them (let alone get them trained), which is why Ollie guarantees paid “paw-ternity” leave. The policy allows employees to take up to a week of paid time off to care for and welcome a furry friend into their lives. The company also offers flexible paid maternity and paternity leave for its employees, allowing parents to take that leave anytime within the first year of their human child’s lives. Slome, who launched Ollie and had a baby within the span of one year, said her experience taught her about the need to be flexible when it comes to balancing work and family. 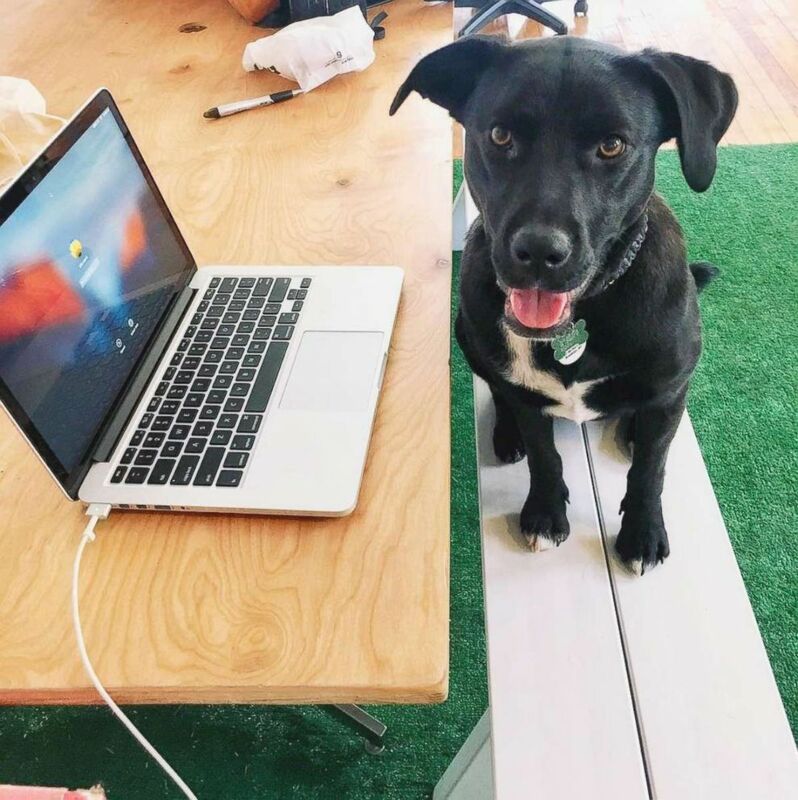 Mollie McGill, director of product design at Ollie, previously worked at a much larger company where she had no idea that dog-friendly workplaces even existed. After she adopted her dog Cooper, a Labrador, Australian Shepherd and American Bully mix, while working at her former job, she used her last two sick days to get Cooper settled in when finding a last-minute dog-sitter proved to be impossible. 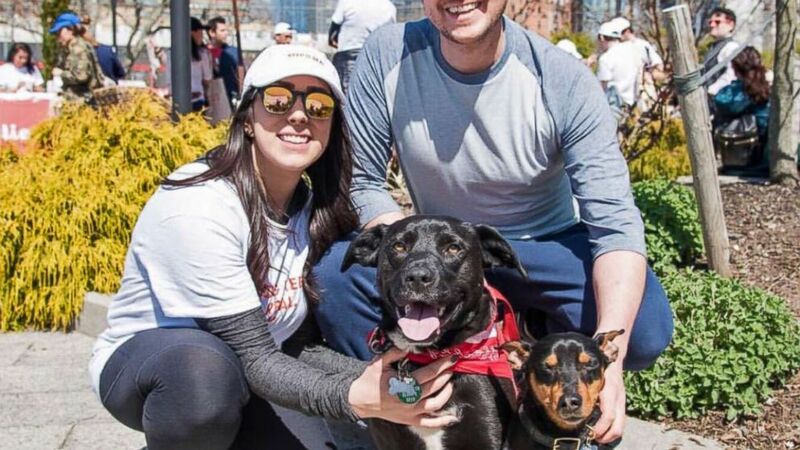 (Courtesy Ollie) Mollie McGill and Patrick Sullivan are pictured with their dog Cooper and a foster dog in an undated handout photo. And when Cooper got sick after she started working at Ollie, McGill said the level of compassion and understanding she received from her boss made her feel totally comfortable with taking time off to take Cooper to the vet and care for him at home. (Courtesy Ollie) Mollie McGill brings her rescue dog Cooper, a Labrador, Australian Shepherd and American Bully mix, to the office. Aside from providing employees with paid leave to care for their pups, Ollie ensures a pet insurance discount, provides free dog food and snacks, and guarantees paid sick leave and bereavement time for their pets, as “our dogs are basically members of the family,” Slome said. Almost half of Ollie’s employees are dog-owners, who bring their dogs to work, and Slome notes how this has created a familial, friendly workplace community where coworkers can play with, and even help to dog-sit each other’s dogs. (Courtesy Ollie) Gabby Slome's dog Pancho visits the office. Among the perks of having pets in the workplace include work-life balance, increased morale, and fewer absences among employees. In one study, employees who brought their dogs to work were found to also have reduced stress throughout the day compared to their colleagues without pets. 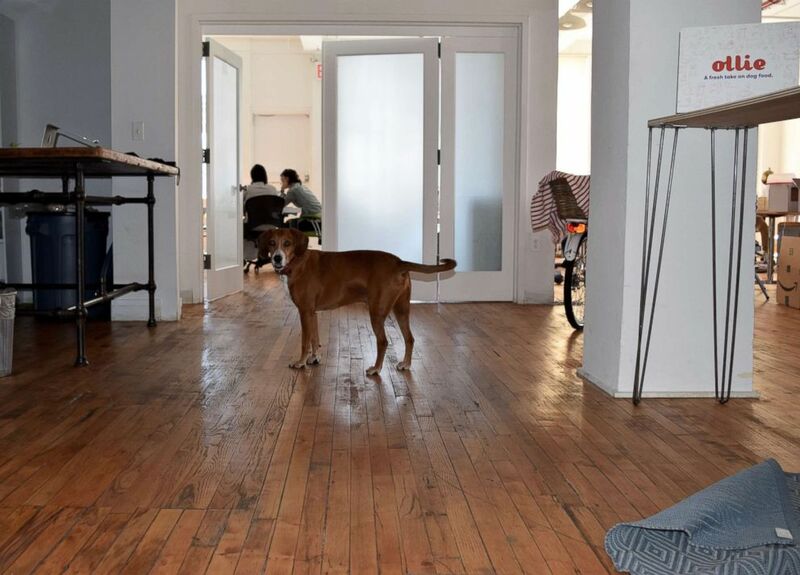 Major companies outside the pet industry have also taken steps to make the office a more pet-friendly place. Amazon, allow dogs in the office 365 days a year. As many as 6,000 dogs "work" alongside their owners at Amazon offices. Reception desks at the company's Seattle headquarters are stocked with dog treats, dog-friendly water fountains abound and one building even has a "doggie deck" with a fake fire hydrant. Slome hopes that "one day it will no longer be just a trend, but the norm," when it comes to workplace perks. ABC News' Katie Kindelan contributed to this report.